To further review our opportunities and to apply directly online, please click one of our current openings below. 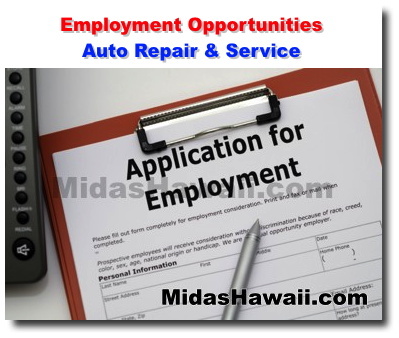 Midas has been in Hawaii for more than 50 years. In 1978 the Pereira Brothers purchased the Midas Franchise in Hawaii and continued to build their business based on service, quality, and reliability. Today, our success story continues as our Managers and employees from Hawaii continue to solidify our reputation as the best.